Ronald Dahl is nuts. Absolute nuts. I am pissed at the world. And I have a good reason. No one told me about Ronald Dahl when I was a kid. Seriously! I loved the the film starring Johny Depp; that’s when I discovered that there is a crazy writer, almost mad, who writes such stories. And finally I had the book in my hands, my Golden Ticket to craziness. Charlie Bucket lives with his four grandparents who are too old to move from their bed, and his parents. He loves chocolates. Willy Wonka‘s chocolates. And Willy Wonka is the greatest chocolate maker in the world. But Mr. Wonka shut-down his factory after many of his competitors planted spies and stole his secrets. After years the factory re-opened and Willy Wonka was back again. But no one ever entered the building, and no one ever left. Until Willy Wonka announces that he will be inviting 5 lucky kids to the factory. The 5 lucky winners will be those who find the Golden ticket, hidden in the chocolate bars. Charlie was one of them. So far, so good. A plain simple children’s story. But Ronald Dahl is nuts. Absolute nuts. It’s a crazy story where bizarre events unfold—always leading to something you didn’t expect and couldn’t have predicted. Bizarre & profound things happens once they enter the factory. It was such fun reading all that written in witty words. But I am guessing Ronald Dahl had more fun writing it. I wonder if anyone noticed, the bizarre & radical ideas that are hidden in the stories. His songs are even more remarkable than his well crafted dialogues. I’ve hardly found enjoyable lyrics or poetry in a story. But with Dahl’s songs—music stars playing and the song comes alive. And there are hidden gems in the songs as well. Charlie and The Chocolate Factory pushed the limits of my imagination, and made me feel like a child again. When all I did was wonder and think crazy ideas. No one should be allowed to teach the kids, without reading and understanding this one. 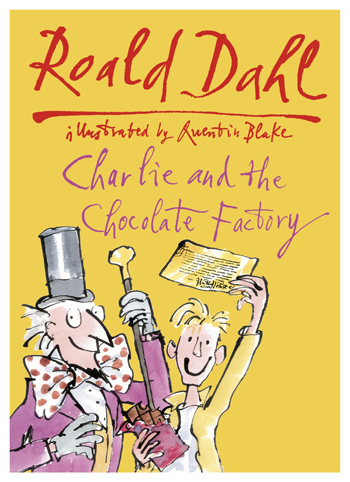 PS: Quentin Blake’s illustrations are a perfect match to Ronald Dahl’s madness. Published on April 30, 2014. Updated on April 30, 2014.